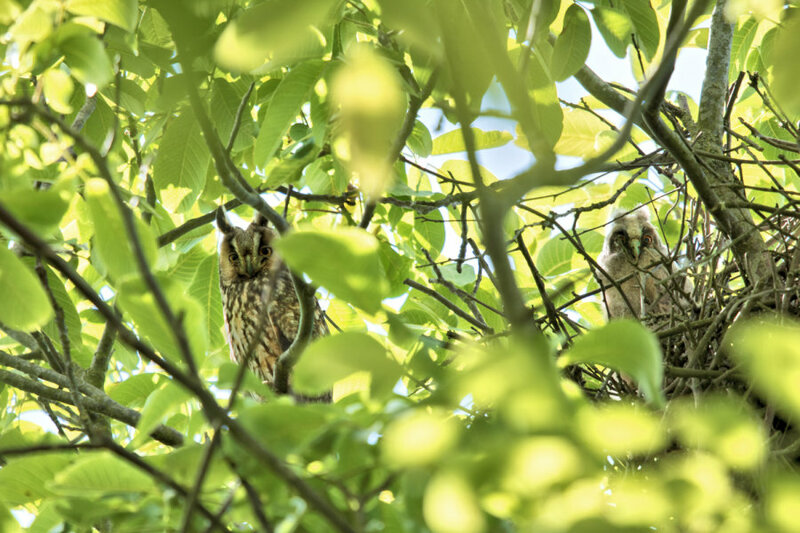 In an old magpie nest in a walnut tree on my friend Helen's yard, a pair of owls have 2 chicks, which are already quite big. Great to see and even more fun to capture them. Helen and Hans: many thanks!